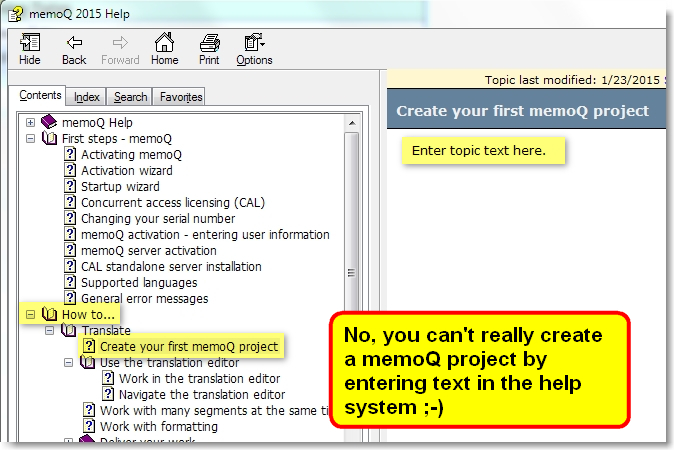 I've often criticized SDL for writing very opaque documentation, and I have occasionally said Kilgray's help files are more useful. 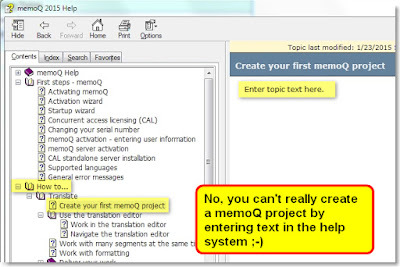 Either Kilgray is saying that to create your first memoQ project you have to enter some text in the help system, or they forgot to write that text themselves. The most likely explanation is that this is an obsolete section title that should not have been included in the help system, of course - it does not appear in the online help. It does look funny, though, and could stump a beginning translator.